Let’s start with the actual food. 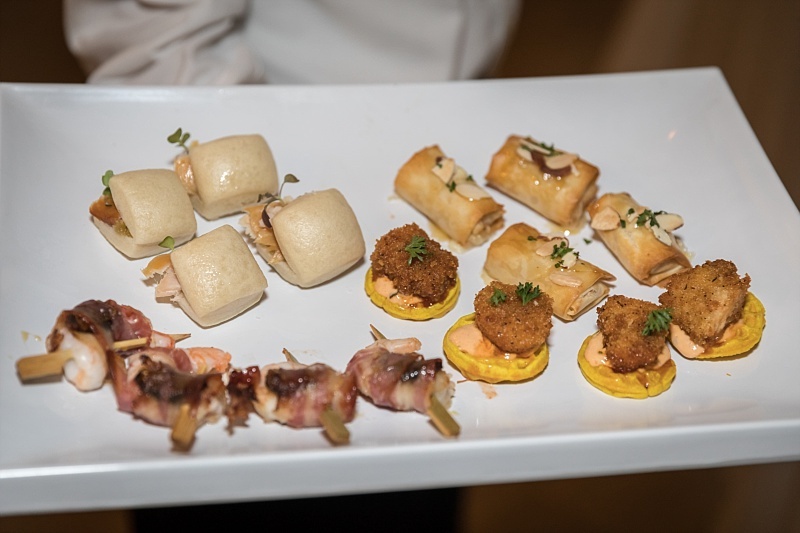 You know what you like to eat but we have years of experience of catering at weddings so we can also recommend what your guests will also favor, particularly for destination couples who are not southern and will have guests coming in from other parts of the USA or even the world. We help you craft a menu that will allow your guests a sampling of the southern favorites such as shrimp & grits while ensuring they are all satisfied. Most couples will opt to provide food during their happy hour, which we think is particularly important if you are serving alcohol, but the length of the venue and the timing of the cocktail hour may influence the food selections. For example we prefer passed appetizers as it allows guests to mingle & have the food come to them, however if your venue has a magnificent focal point that you want to highlight you might want a food display. Our general recommendation regarding displays vs passed appetizers is “Don’t make a carrot compete with a crab cake” meaning if the food is stationary it had better be something really good. 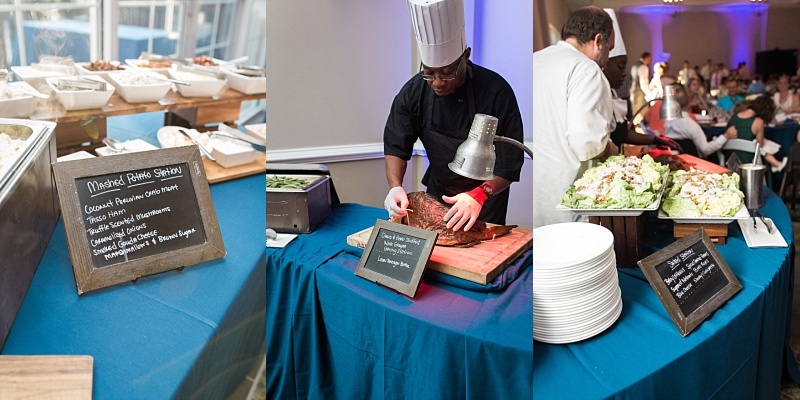 For your reception meal you will consider the different food styles including buffet, stations or action stations, family style or plated entrée. A Charleston wedding planner will help you decide which is best for you based on preferred style, venue, caterer, guest count and budget. Action stations often incur an additional fee to cover the labor of the chef. 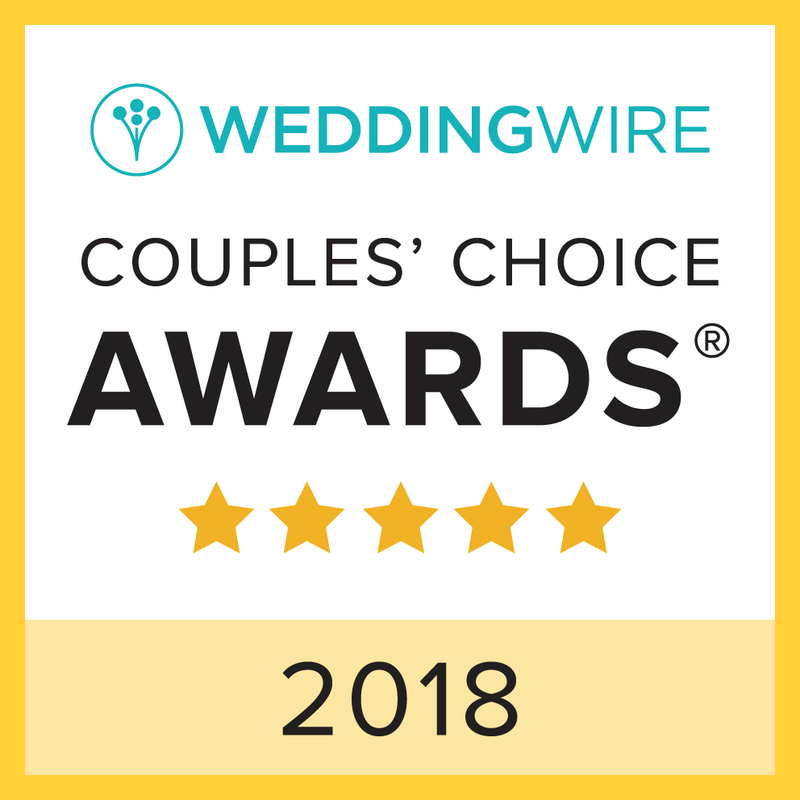 A Charleston wedding planner will also review with you and your caterer any special requests such as items just for the wedding couples and guests with allergies, gluten free requests or vegetarians/vegans including what their options are and how to identify them during the reception. The caterers normally assist with the cake cutting so we also review whether the top tier of the cake is being saved or not and whether the cake is to be served to guests or if it will be placed on the cake table for guests to self serve. A Charleston wedding planner will also review the table scape to ensure that it will function efficiently as well as looking nice. This may include chargers or plates, napkins, cutlery, wine glasses, water glasses, and catering items such as bread, butter and salt/pepper. Your Charleston wedding planner will also have her eye on the budget including the true catering fee including taxes, service charges, gratuities, cake cutting fees, champagne toast fees, and station attendant fees, to ensure you are comparing the true pricing of your catering quotes.